Looking to get away for the ultimate road-trip over a couple of months? More and more, travellers are less interested in quick trips abroad to check out a handful of destinations. Instead, they want to immerse themselves in as many varied cultures and communities as possible, and there’s no better way to do that than by road-tripping through a country you want to get to know. The USA and Canada are two of the most sought after travel destinations for Australians, thanks to the rich landscapes, varied provinces and mammoth list of things to do. So go on, do what you’ve always dreamed you’d do and take the full three months, start planning, and buckle in to what’s sure to be the biggest adventure of your life. The below itinerary is is designed to start in New York City, touch the bottom of the USA, climb up the west coast before hitting Canada, from there you head straight cross country until you hit Quebec, where you can hang up your road-trip boots, or continue the eight-hour drive back to where you started: The Big Apple. In between stops, we encourage you to create your own path based on what you love, and what’s on your must-see list. We’ve highlighted our favourite bits. It’s time for you to find yours. To fulfil your own Great American (or Canadian) Road Trip fantasies, consider getting the hard bits done for you so you just need to bring yourself, your driving gloves and a dog-eared copy of On The Road. America Canada Motorhome Tours takes on the work so you don’t have to, having been busy organising driving tours through Canada, Alaska and the lower 48s of the USA for the past 15 years. Choose from one of their six itineraries then you can travel in your own motorhome, at your own pace, with your family and friends, yet knowing you have the support of a tour leader who will give you guidance and assistance. On a motorhome tour, you’ll see more as you are free to stop at will, and you get so much more access to local culture as you are introduced to communities along the way. Then there is the added social life around the trip’s many campfires and, to make things better, you only unpack once. Most itineraries are combined with hotel stays, day tours and even a seven-day cruise, and include Chicago to Anchorage, Seattle to Anchorage, Anchorage to Seattle, Route 66, Nashville to the Caribbean and Eastern Canada. It’s the ideal way to get the freedom of the road with the support of a local team. Starting off in New York City, before you head off on your months-long adventure, it pays to get yourself a hearty meal somewhere delicious, so you’re not itching to turn off the road at places you don’t necessarily need to stop. We suggest stopping in at Soho’s Jack’s Wife Freda for a serving of the Rosewater Waffles with a serving of their famous house cured duck bacon. You certainly won’t regret it. As you head down Bourbon Street, swept up in the music, making your way through the slew of dancing and the colourful beads, take a right to Acme Oyster House in the French Quarter. These babies come out sizzling in the shell, saturated in herby butter and – in true American fashion – topped with cheese. It’s a bit of a weird sensation, guzzling piping hot oysters, but what you’ll find is that this crustacean is just as delicious grilled as they are raw drizzled with lemon. To really get into the New Orleans spirit, follow up with some Jambalaya; a New Orleans speciality, the seasoned rice comes with smoked sausage and chicken – and really hits the spot. For a chilled back day in Austin that will make you feel like a local, head to Barton Springs Pool within the city’s green oasis of Zilker Park. This 1.2-hectare pool, flanked by grassy banks, is fed by underground springs and maintains an average temperature of between 15–21 degrees °C, making it swimmable year-round. Pack a towel and a book and when you’re hungry, amble down the road to Barton Spring Road’s food trailer park the Picnic to experience what Austin is most famous for (besides music). From fresh fruit ice blocks to Texan barbecue and tacos, sample local fare from some of the best food trucks in town. Where to stay: Hotel Sain Cecilia, created in honour of the patron saint of music and poetry, the Saint Cecilia takes inspiration from the great era of the late 1960’s and early 1970’s when a revolution of rock and roll and beat poetry overran the hallowed halls of established convention. They pay tribute to the great creative legacy of our revolutionary idols and to the spirit of the artist that lies within us all. Don’t forget to stock up on marshmallows, crackers and chocolate bars for s’mores around the campfire. The flat, dusty plains of western Texas gained an unlikely tourist attraction in 2005 when artist duo Elmgreen & Dragset installed an uncanny sculpture on the side of the highway. To the road tripper, Prada Marfa is the surrealist of sights: a luxury shop, stocked with shoes and handbags, transplanted to the middle of the desert. But it’s fake, and there are no functioning doors, which only adds to the intrigue. It all makes sense when you reach the small city of Marfa, a half hour’s drive away. A quintessential one-horse town, Marfa was put on the contemporary art map when minimalist sculptor Donald Judd moved here from New York in the 1970s and is now home to a range of boutique accommodation options, arts and music festivals, design stores and restaurants. With a little help from Beyoncé, the town – and its namesake installation – has since become a mecca for artists, fashion lovers and Instagrammers alike. For anyone who has ever admired a Georgia O’Keeffe painting, a visit to Ghost Ranch – a one-hour drive north-east of Santa Fe – is a must. It’s where she painted her memorable modernist landscapes of flat-topped mesas and sagebrush, and the joy of following in her footsteps is realising that she didn’t need to exaggerate her colours in this corner of northern New Mexico: they really are as vibrant and hyperreal as she painted them. Today this 8500-hectare retreat, owned by the Presbyterian Church, hosts tours, workshops and spiritual retreats, but when O’Keeffe first encountered it in 1929, it was a dude ranch. Exploring incredible Utah by car. 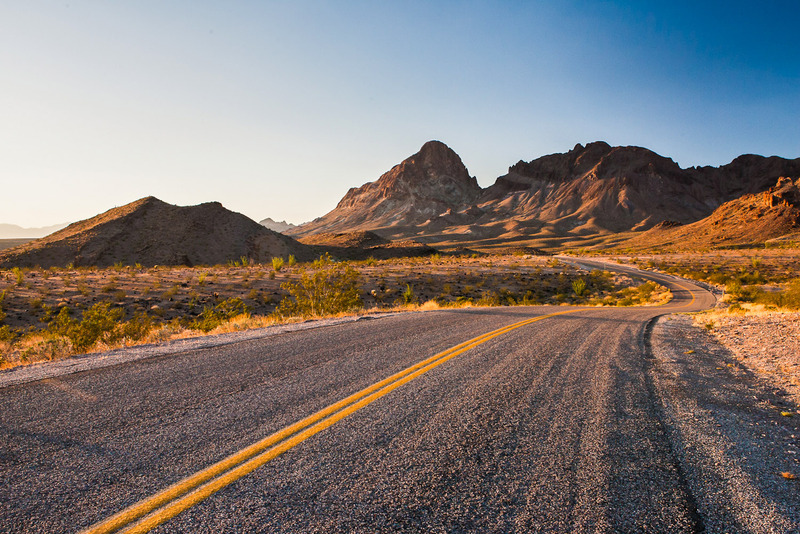 The Great American Road trip is a favourite pastime in the States, particularly in the American West. Utah is remarkable for the tremendous diversity of natural grandeur on display, as well as for its cultural uniqueness in amongst its neighbouring states. Stunningly scenic Utah manages to contain 27 of the country’s designated scenic byways, and either partially or entirely, it’s these that make up many of Utah’s must-do road trip itineraries. Each journey is a photographer’s paradise, a hiker’s nirvana, a Western historian’s feast, and a geologist’s ultimate dream – particularly along what locals call the Road to Mighty. There is also plenty of stunning natural beauty to be found on Utah’s backroads, locally known as the scenic backways. 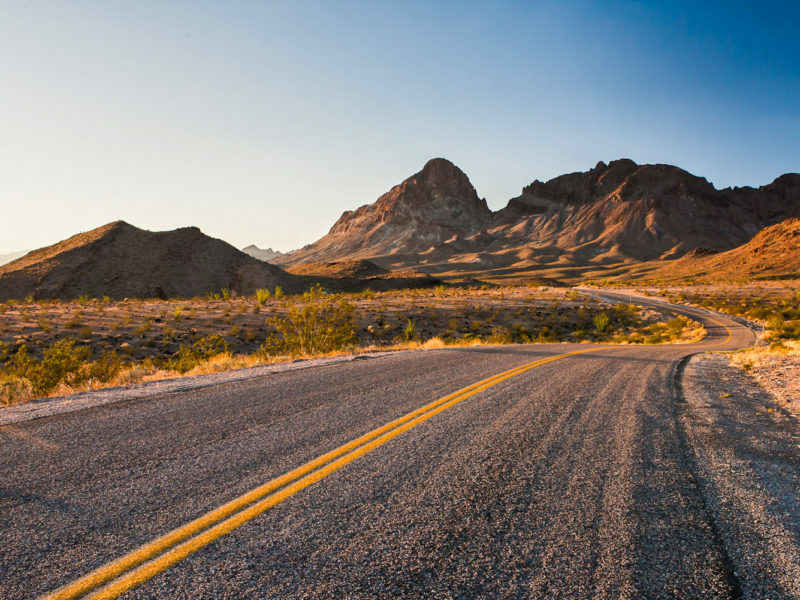 For something different, try it on two wheels; many of these roads are also fantastic road cycling or motorcycle routes. Often Las Vegas gets a bad wrap, depicted as ‘Disneyland for adults’, but with a heavy dose of negative connotation. I say, treat it like Disneyland and take in the sheer heights each hotel goes to bring visitors a sense of wonder. Paris the hotel has a wonderfully French feel once you’re inside. In fact, the baguettes in the window and the smell of cheese and coffee will make you forget you’re actually in the USA altogether! New York New York has a roller coasting literally running through the hotel and is set out just like the West Village on the casino floor. You can’t leave without sampling a caramel-dipped apple – that would be a sin in Sin City. Take a detour to LA across the iconic Route 66 to stop for your quintessential jumping in the air, arms up, faded signage on the ground photo. Then head straight to take your place at the back of the line at Pinks Hotdogs in Los Angeles to grab yourself a Martha Stewart Dog covered in relish, onions, bacon, chopped tomatoes, sauerkraut and sour cream. Make sure you stop by Napa Valley on your way to get a quick lesson in wine and show off to your friends back home. We are about to cross the border. Don’t forget Australians need an ESTA to enter Canada and an ESTA to enter the USA if you cross over to Alaska, plus a land-crossing authorisation (going into the US, which costs USD$6 cash at the border). Sail from Vancouver and spend a glorious day in Victoria. Connecting perhaps British Columbia’s best-known city, Vancouver, with its capital on Vancouver Island, Victoria, is as simple as V2V, as it turns out. V2V Vacations is a premium cruise service connecting downtown Vancouver and downtown Victoria, creating memorable experiences through an inspiring connection of people, places and moments along the way. The voyage aboard the 242-passenger high-speed catamaran V2V Empress takes less than 3.5 hours, and gives travellers a premium, highly personalised journey focused on comfort and convenience. Guests can choose from two stylish seating classes and taste local flavours via the onboard menu, featuring food and both non-alcoholic and alcoholic drinks from the region. The V2V Empress is wheelchair accessible, offers free wi-fi throughout (just as well, considering the spectacularly shareable journey) and is equipped with ergonomic leather seating with the convenience of individual USB ports and international power outlets for every seat. From March through to October, the service departs daily from downtown Vancouver at 8am and directly from the Inner Harbour in Victoria at 4pm, allowing daytrippers the perfect access to Victoria. What to eat: Any day, any time, you could eat your way around Canada trying a different poutine in every place. Driving through the mountains of British Columbia. Take the road less travelled in British Columbia, Canada’s famously scenic Pacific province. Taste the urban treats of Vancouver and Victoria and then choose a route into the heartland. Head east for wine country, desert landscapes, natural hot springs and Rocky Mountain snow peaks, or set your sights north for the multi-hued canyons and untouched forests of the remote Chilcotin Plateau and the Great Bear Rainforest – two of North America’s last, and largest, wilderness areas. Farm-gate wineries, roadside diners, day hikes, waterfalls, and friendly little arts towns encourage lingering; historic lodges, cosy bed and breakfasts, and alpine resorts offer memorable overnights. You won’t see much traffic on some of BC’s backroads, but there’s plenty of wildlife – think bighorn sheep, moose, eagles and bears – to keep you company. And when the highway ends? No worries. BC Ferries cruise the coastal straits and fjords. If sailing across the water with the stunning peaks of BANFF National Park as your backdrop sounds appealing to you, then you can’t miss a stop at Lake Louise, if only for the Instagram shot. In winter the water freezes and exhilarating games of ice skating and ice hockey ensue, but in summer it’s almost too tempting to be on or in the water. Experience the spectacular wildlife of Manitoba with an adventure by road, from the dense forests of Riding Mountain National Park to the colourful tundra of Churchill. Frontiers North’s Big Five Safari is a one-of-a-kind salute to the incredible array of megafauna that populates the forests, prairies, tundra and waters of this heartrendingly beautiful and biodiverse province. Your journey begins in Winnipeg, the geographic centre of North America. Travel overland to Riding Mountain National Park, where the lofty heights and deep gorges of the Manitoba Escarpment are home to such impressive residents as black bears, moose and a captive bison herd. Flying north to Churchill, the boreal forest gives way to rugged tundra and the northern waterways. Set out by boat and Zodiac amongst inquisitive beluga whales, and explore the Churchill Wildlife Management Area by Tundra Buggy in search of the majestic polar bear. Stepping into Québec City, you’d be forgiven for thinking you’d stumbled into a European city. Not at all like any other place in Canada, Québec offers a romantic ambience that makes for a truly unique end to what should definitely be the trip of your life. In the festive season, the streets are transformed into a winter wonderland reminiscent of the famed German Christmas markets. So if the timing is right for you, it’s certainly worth soaking in. Otherwise, sampling the French cuisine in one of Québec’s best eateries, such as as Paillard, which makes Québec’s best croissants and macarons is reason enough! Only 8.5 hour drive to New York City, where you can finish your trip with the legendary pastrami sandwich at Katz! Spend 4 days exploring the USA’s capital, seeing the best of the monuments this city has on offer. Taste the very best of Washington, DC from Italian, Middle Eastern and American to all things artisan, spend 4 days finding the very best bites in the nation’s capital.